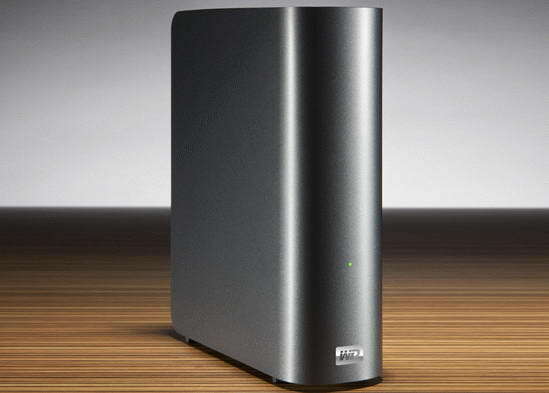 Western Digital (WD) announced the My Book Live home network drive, which provides storage and access to content as the perfect foundation for the centralization of digital media at home. WD has been utilizing the latest processor technology to provide up to 100 MBps transfer rate, exceeding three times the speed of traditional USB 2.0 and at least double the speed of other network drives in its class. The integrated media server in the My Book Live home network makes this device a quick and simple solution for users who want to see videos, music and pictures on any Mac or PC that is connected to the home network and stream digital media to the television through multimedia devices DLNA certified as WD LiveHD TV media player, Blu-ray Disc player, the Xbox 360 or PlayStation 3 game console. Users can also play music and videos stored on their drives in iTunes, and view digital photos on iPhone, iPod touch and IPAD them with a finger sweep through the application of WD Photos. Users can also securely access and send all content and files stored in the My Book Live from any PC or Mac that is connected to the Internet using WD freeremote access service. "Storage is connected to the network providing incredible opportunities for families who want to concentrate all their digital content and enjoy it on computer, television and smartphones at home and outside home," said Dale Pistilli, vice president of marketing, branded WD products group. "Our consumer research shows that consumers need a simple way to build a central place for their digital media. Drive WD My Book Live home network allows anyone who wants to enjoy the benefits of network storage and bring the reading speed to boot extraordinary," he added . Drive My Book Live home network is protected by a limited warranty for three years and is now available at selected retailers. Suggested Retail Prices for the 1TB USD169, USD209 and USD269 for 2 TB to 3TB.